Bollywood release a lot of movies every month & hence is one of the growing movie industry worldwide. It is said that Bollywood Industry makes the highest profit & all because of the number of movies they release. In this article, we are going to check the list of upcoming new Bollywood movies release. For those who are eagerly searching for upcoming new Bollywood Movies, here we are with the list for your update. Bollywood Industry is one of the highest movie producers and every year we see more than 250 movies getting released. This means that the Industry releases more than 15 movies releasing every month. For those who are looking for Upcoming new Bollywood movies, then here we are the with the list of movies getting released this year 2019. In the month of February, there are a couple of good Upcoming new Bollywood movies and we have a list of them. The movie listed below are the upcoming new Bollywood movies releasing this February. In the month of January, there are a couple of good Upcoming new Bollywood movies and we have a list of them. The movie listed below are the upcoming new Bollywood movies releasing this January. Super 30 is one of the upcoming new Bollywood movies which is scheduled to release on 25th January 2019. The movie is directed by Vikas Bhal displays a genius Mathematician Anand Kumar (Hrithik Roshan) from a humble family background who proves that the poor man can create genius minds. Subsequently, he starts a training program named as ‘Super 30’ to aid IIT candidates to crack the entrance test which will make them highly successful, professionals. This movie seems to be one of the interesting movies for IIT candidates. Along with Hrithik Roshan Mrunal Thakur, Aditya Shrivastava, and Pankaj Tripathi will feature as a lead character in this movie. It seems it will be an inspirational movie for the IIT candidates. This one of the most awaited movies for Emraan Hashmi’s fans. Cheat India is one of the upcoming new Bollywood movies getting hit in cinemas on 25th January 2019. The movie is directed by Soumik Sen which is inspired by the incidents happened in the education system in India. A con man decides to take the privilege of an academic world where there are few opportunities and many candidates, and in that, only the smartest can survive. This movie shows how the candidates survive and it exposes the failure of the education system. Emraan Hashmi and Shreya Dhanwanthary will feature in this movie as a lead character. Manikarnika: The Queen Of Jhansi is one of the upcoming new Bollywood movies scheduled for 25th January 2019. The movie is directed by Radha Krishna and Kangana Ranaut. This movie is a biography of The Great Warrior Rani Laxmibai. This is the most awaited movie of the year 2019, as the performance of Kangana Ranaut in this movie stole the heart of her fans. In this movie, Kangana Ranaut plays the role of Manikarnika showing her action and captivating looks, which makes her the ideal warrior. Along with Kangana Ranaut Atul Kulkarni, Ankita Lokhande and Jisshu Sengupta will feature as lead characters. Many other actors who were featured in Manikarnika are Suresh Oberoi, Danny Denzongpa, Kulbhushan Kharbanda, and Mohammed Zeeshan Ayyub. Manikarnika is anticipated to be the blockbuster of 2019. This movie will inspire today’s generation and the coming generation. Thackery is one of the upcoming new Bollywood movies that every Maharashtrian’s were waiting for. This movie is scheduled to be released on 25th January 2019. The movie is directed by Abhijit Panse, the movie displays a life story of Balasaheb Thackery the founder of Shiv Sena and an Indian political leader who played a major role to shape the Maharashtrian identity. In this inspiring movie, Nawazuddin Siddiqui and Amrita Rao played a role as a lead character. Fraud Saiyaan is an upcoming Bollywood movie which is going to release on 18 January 2019. This movie is all about a con man who marry women just to enjoy their money. Reportedly, In this movie, Arshad Warsi has thirteen wives and it is an actual story of a man from North India. The movie is directed by Sourabh Shrivastava and will feature Arshad Warsi, Saurabh Shukla, Sara Loren, and Kanchan Awasthi as a lead character. URI one of the upcoming new Bollywood movies which is scheduled to release on 11th January 2019. After a long time, a military drama is going to hit on cinemas which displays a story of 19 unarmed Indian soldiers were martyred at the URI base camp in Kashmir. Subsequently, Vicky Kaushal who played a role of an army officer and Vihaan Singh Shergil who takes a pledge to demolish the enemies. The movie is directed by Aditya Dhar and will feature Vicky Kaushal, Yami Gautam, Kirti Kulkarni, and Vikramjeet Virk as a lead character. Along with the other actors who were roped with them are Paresh Rawal, Manish Chaudhary, Anil George, and Swaroop Sampat. Amavas is an upcoming Bollywood horror movie which is scheduled to release on 11th January 2019. The official teaser of the movie narrates the victory of good over evil and it is been the norm. There are some movements when the darkness takes over the light and the name of the movie itself is scary. The movie is directed by Bhushan Patel and will feature Sachin Joshi, Vivan Bhatena, Nargis Fakhri and Mona Singh as a lead character. Along with them, the other popular actors are in Amavas are Navneet Kaur Dhillon and Ali Asgar. Bombairiya is one of the upcoming new Bollywood movies which is going to hit on cinemas on 11th Jan 2019. This movie is a bit of suspense and entertaining. The movie is directed by Pia Sukanya and will feature Radhika Apte, Akshay Oberoi, Ravi Kishan, and Shilpa Shukla as a lead character. The other actors in this movie are Akshat Verma, Siddhant Kapoor, and Adil Hussain. Rangeela Raja one of the upcoming new Bollywood movies which is going to hit on cinemas on 11th January 2019. Good news for Govinda fans, while after a long time Govinda again hits on a big screen playing a double role in Rangeela Raja. This is one of the best comedy movie and the most awaited movie for the Govinda’s fans. This movie is based on two brother who lives a different lifestyle. This movie is directed by Pahlaj Nihalani and will feature Govinda, Shakti Kapoor, Govind Namdeo, and Digangana Suryavanshi playing a crucial role in the movie. Along with the other popular actors were roped for Rangeels Raja are Mahesh Anand and Mishika. Talking about Bollywood upcoming movies, we have a list of all the movies that are going to release in the month of December. The movie listed below are the upcoming Bollywood movies releasing this December. 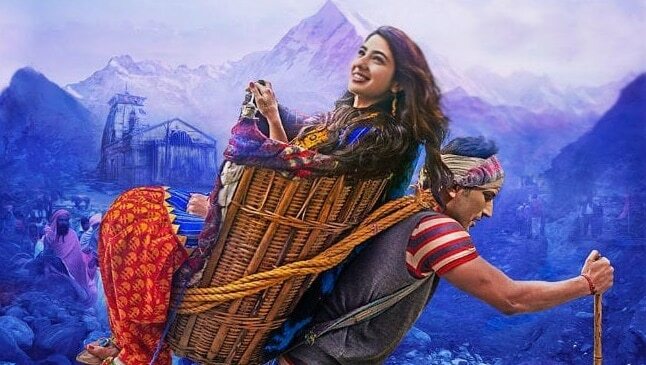 Kedarnath is a Hindu-Muslim love story. Kedarnath portrays the guts of a Muslim boy who saves a Hindu girl from a flood, while she is on a pilgrimage in Uttarakhand. Eventually, we will see how their love develops on this romantic adventure. Zero Movie is an upcoming Bollywood Drama and Romance. The story revolves around Bauua Singh, a vertically challenged man, who is wealthy and a bit arrogant. His life takes a turn when he meets 2 women, who make him realize that no one is perfect. It is a tale mixed with love and drama. Bauua has many things to win and also to lose. But he will learn important teaching. 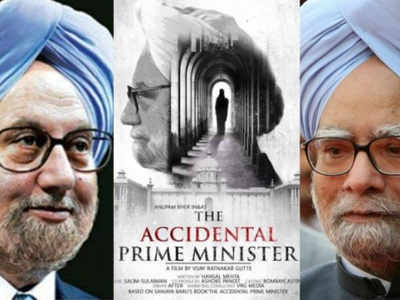 A biopic on the Life, Work, and Controversies of India’s 14th Prime Minister Dr. Manmohan Singh. This movie will focus on how our Prime Minister lived and handled all his tasks. It is going to be exciting to watch Anupam Kher as Manmohan Singh. 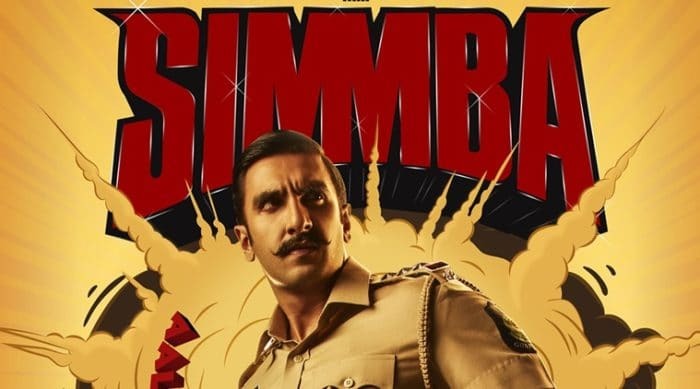 Simmba is a story of an angry young corrupt cop. Whose behavior completely changes after falling in love with a beautiful and simple girl. The film stars Ranveer Singh and Sara Ali Khan in prominent roles. It as an Action-Comedy film. 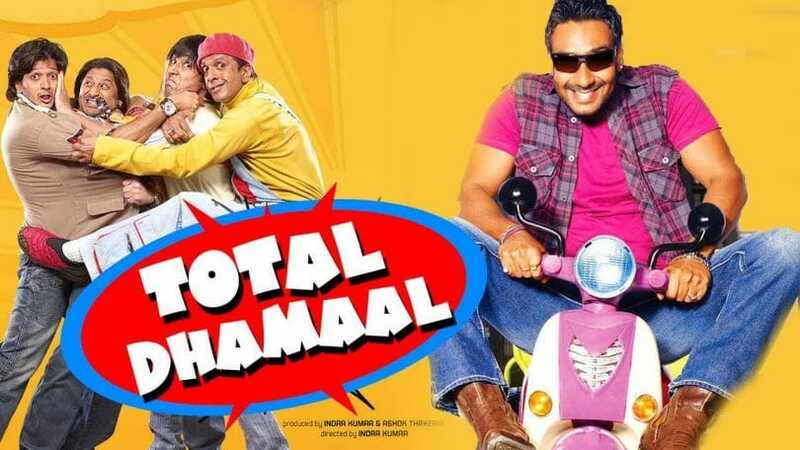 An upcoming Bollywood comedy movie which is the third installment of the Dhamaal film series. With Ajay Devgn and Arshad Warsi together, we can expect the crowd to leave the theatres laughing. The movie is directed and co-produced by Indra Kumar. Talking about Bollywood Movies in November we have already seen many Bollywood movies released in theaters. Here the below list contains all the movie that got released in November 2018. 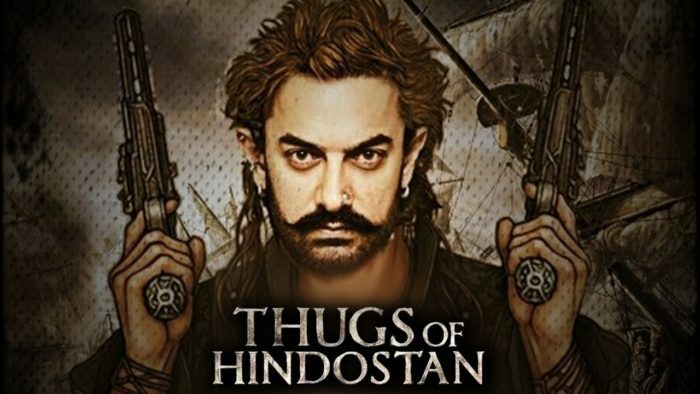 Thugs of Hindostan is set to launch as the biggest action movie seen by the audiences, with jaw-dropping performances from the actors. An adventure tale with a lot of action is going to be incredible to watch, the Thugs will lead their pack in the war at the seas. Get ready to be thrilled as this Action packed Diwali movie is coming to entertain us on. Two different worlds collide in this Action-Comedy movie, as a gangster dreams of becoming a superstar. It turns out becoming a humor-filled action movie which will make the audience laugh and wonder at the same time. We will see the journey of the gangster who tries to become a Superhit. 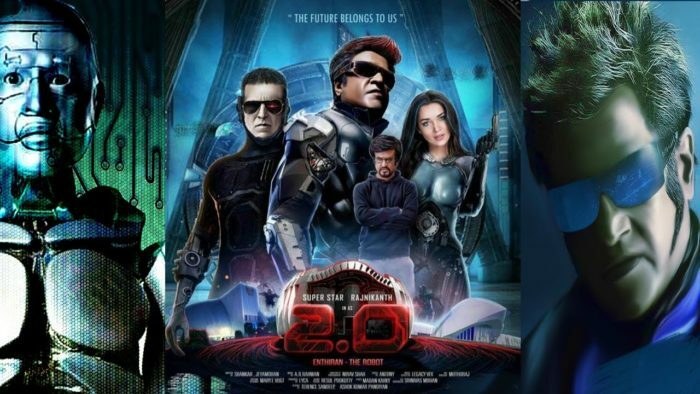 Robot 2.0 is an Action-Thriller movie releasing in November. A threat is disrespectfully causing destruction and has made the government helpless. They seek the help of Scientist Dr. Vaseekaran because of the destruction. Dr. Vaseegaran advises the government to assemble Chitti as he is the only hope to fight against it.